Listen to "Takedown: A Thriller" on your iOS and Android device. 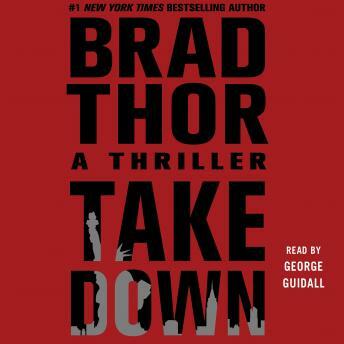 Brad Thor has done it again. Another great book, could not put it down. Cant wait to continue the series and see what other adventures Scot Harvath goes on. Great book. The. Narrator is very engaging and helps you imagine the characters. I highly recommend this as an action story. Moved quickly and kept my interest. Very much about terrorism, military and politics. These aren't my first choice to read but this was very good. Great narration of an intricate thriller!